The merger of the NCRB and the Bureau of Police Research and Development seems like an attempt to gain more control over security-related data. he NCRB was formed in 1986 by merging the Directorate of Coordination and Police Computer, Statistical Branch of BPR&D, Inter-State Criminals Data Branch of CBI and Central Finger Print Bureau of CBI. In what could be a contentious move, the Ministry of Home Affairs (MHA) recently merged two police bodies with completely different functions into a single entity. A notification issued on August 4, 2017, ordered the merger of the National Crime Records Bureau (NCRB) with the Bureau of Police Research and Development (BPR&D) to “improve administrative efficiency and promote optimal utilisation of resources”. Under the new structure, the the BRP&D Director General (DG) will serve as the head of both the bodies, and the NCRB director would report to her/him. However, a closer look at the implications of the merger of two separate specialised agencies of India’s public security apparatus, points to the BJP-led NDA government attempting to subvert the executive body in order to gain more control over security-related data and research. Normally, the creation, closure and merger of such departments is done with a resolution of the Union cabinet. But the merger in question was announced through an ‘office memorandum’, signed by the under secretary of the MHA’s police training section. That an MHA notification signed by the lowest official in the bureaucratic chain has been used to merge two public security institutions is a significant indicator of the government’s mood and hints at the PMO’s involvement. Moreover, the merger was finalised without any consultation, at any level, either with senior police officers, or any other expert on the subject. According to experts, the move could compromise the sanctity of the NCRB data. The NCRB was formed in 1986 by merging the Directorate of Coordination and Police Computer, Statistical Branch of BPR&D, Inter-State Criminals Data Branch of CBI and Central Finger Print Bureau of CBI. It was meant as a repository of secure sharable national database on crimes and criminals and fingerprints of all criminals on the recommendation of the task force and the national police commission. 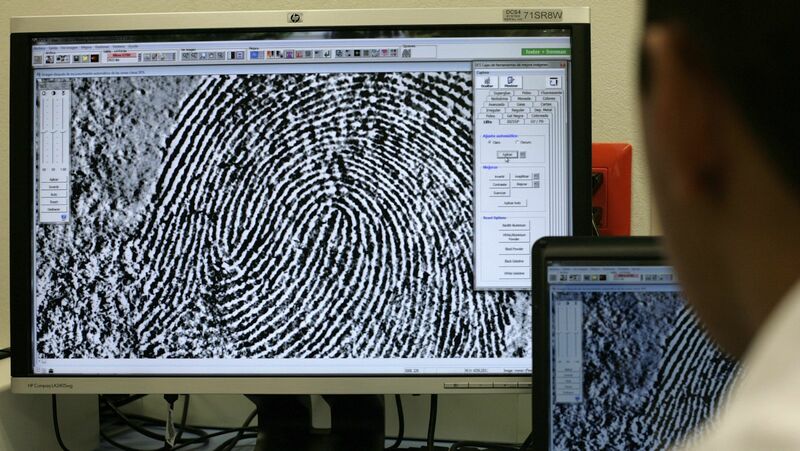 Its creation was obviously driven by a need for an agency specially designed and focused to collect, store and analyse crime data as well as to evaluate, modernise and promote automation in state crime records bureaux and the state finger print bureaux, training and capacity building in police in information technology and finger print science. Crime and criminal tracking network and systems, designed to share crime data nationally and in inter-state contexts, functions under the NCRB. Publication of crime in India was transferred to it. The data it generated and published in the crimes in India was expected to assist the investigators and social scientists alike, even though both collection and submission of such data from states and their consequent publication did not follow a time schedule. Due to the difference in defined roles, the two institutions have had different public profiles and evolution trajectory. The BPR&D, which focuses on research and training and publishes data on Indian police organisations annually, has naturally been more in public view and news. It thoughtfully developed a dedicated library on police and policing and evolved further in research with interacting with social scientists, involving some of them in their research activities. It was fortunate to have Anand Swarup Gupta, a scholarly and thoughtful writer of two volumes of history of the Indian police, as the first DG. However, over the years the institution was reduced to be a dumping ground of unwanted or about-to-retire IPS officers, most of whom spent their time either to win back political favours for a better posting, or fixing up their retirement benefits, even while the institution grew in size and role. The tenure of Kiran Bedi (2006-07) was eventful for energising the organisation by involving social scientists as advisors to strengthen police research and by convincing the MHA to provide grants dedicated to research on socio-economic aspects of police, personnel and policing. However, the faultline in posting an eminent officer as the DG became clear when she was overlooked for the office of police commissioner of Delhi, making her cry discrimination and finally taking voluntary retirement from the IPS. The BPR&D, however, continued to seek out academics by offering and granting research and conference grants for at least a decade. However, the scheme offering a maximum of Rs 2.5 million for research and upto Rs 2 lakh for conferences got bogged down in its administrative quagmire, MHA’s wooly-headed bureaucratic attitude and irresponsible behaviour of the grantee academics in (not) submitting research reports. This led to an internal inquiry, a report to the MHA and final closure of the academic interactions. Moreover, under the strangulating control of the MHA that has been reluctant to open the police for social science enquiry, the interaction was unlikely to go very far. Despite being a public institution, the bureau under the MHA cannot be opened for a social audit. The NCRB, on the other hand, has had a limited presence in the public domain is with its print and electronic publications, which are – crime in India, accidental deaths and suicides in India, prison statistics in India, finger prints in India and NCRB in data portal. Each one stores and analyses a mine of data, which are useful and used despite the erratic, even erroneous and incomplete, data communicated by the state governments. Clearly, given their different roles, the merger of the two is unlikely to result in either administrative efficiency or optimal utilisation of resources. That the BPR&D could not administer its research facilitator role and internal contradictions emerged leading to inquiry indicates that enlargement of its role with the NCRB head reporting to the DG is likely to make the confusion worse confounded. Also, the hurried merger by ignoring the established procedure also points at the intention of the BJP-led NDA government to exercise greater control over security related data and research. However, its real import would be clear in times to come.